Recently the restaurant inaugurated its second branch in the IT corridor of Gachibowli. 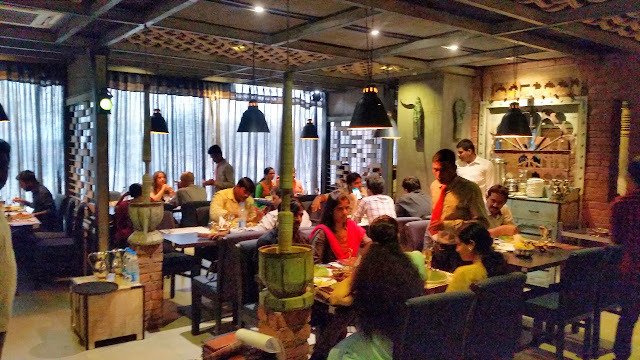 Located near the Biodiversity circle, the place has comfortable seating with a few private dining areas. The menu offered is same as the other branch and all the signature dishes are served. 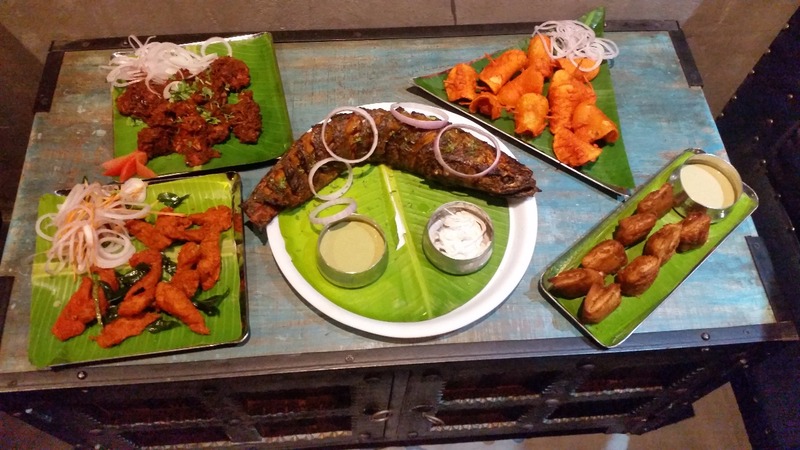 Some of the starters here are not to be missed. The first is Konaseema Kodi Vepudu or the spicy chicken pepper fry from coastal Andhra Pradesh. The dish is not for the faint-hearted, but the taste of freshly ground spices is good enough for me to event tolerate the strong chillies. For people looking for boneless dishes, the crisp Kodi Chips here may be a good choice. 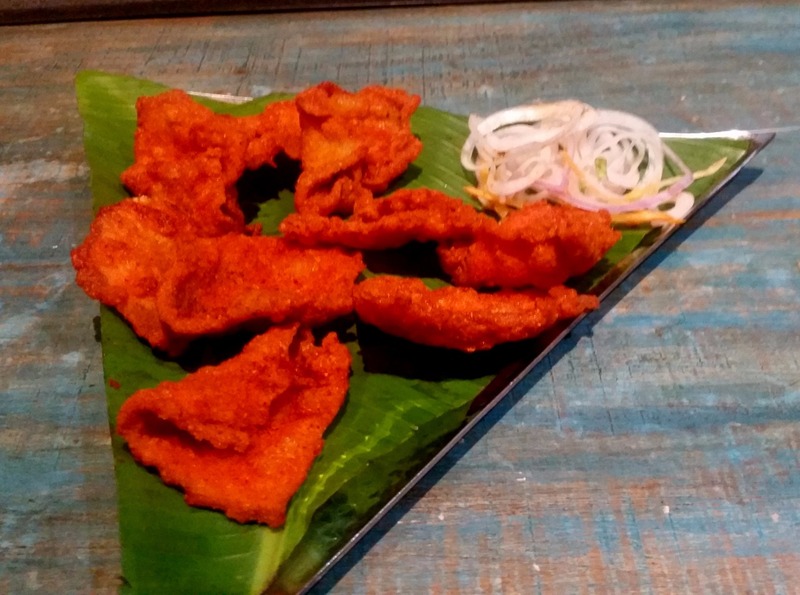 The thin slices of chicken in a nice marinade are deep fried. A perfect accompaniment for drinks, which unfortunately the place does not serve. Bamboo Chicken or marinated chicken stuffed in a bamboo and roasted over firewood is a typically tribal dish. 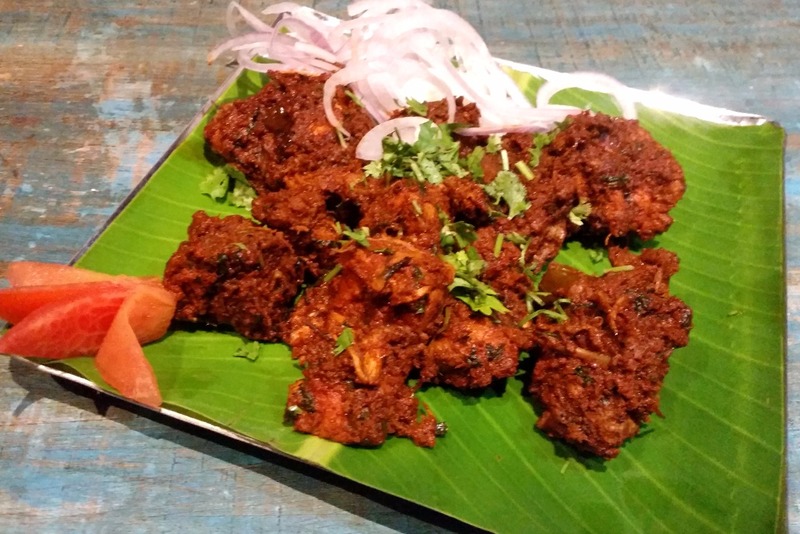 Though the recipe differs from place to place (Bengal has its own Banspora Mangsho, while Sundergarh in Odisha has its own recipe too), here in Ulavacharu the version served is from Araku Valley near Vizag. The chicken recipe hardly uses any oil but has a nice flavour both from the spices and from the bamboo inside which it is cooked. 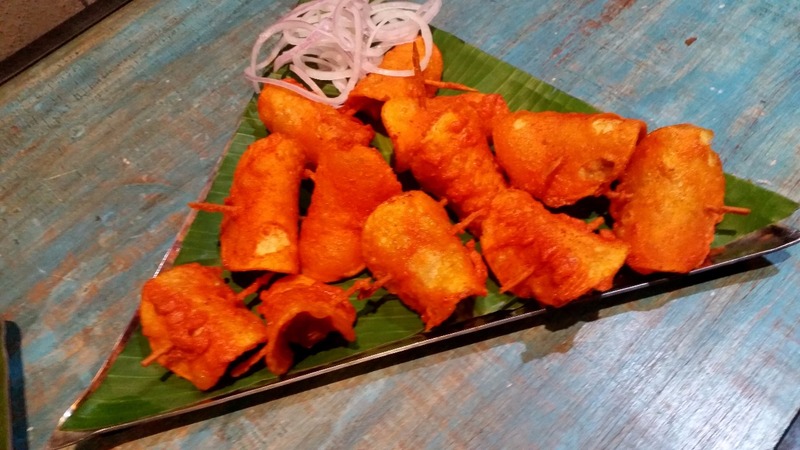 A popular in-house developed dish is Bangla Kodi, where boneless chicken pieces are stuffed in potato pockets. 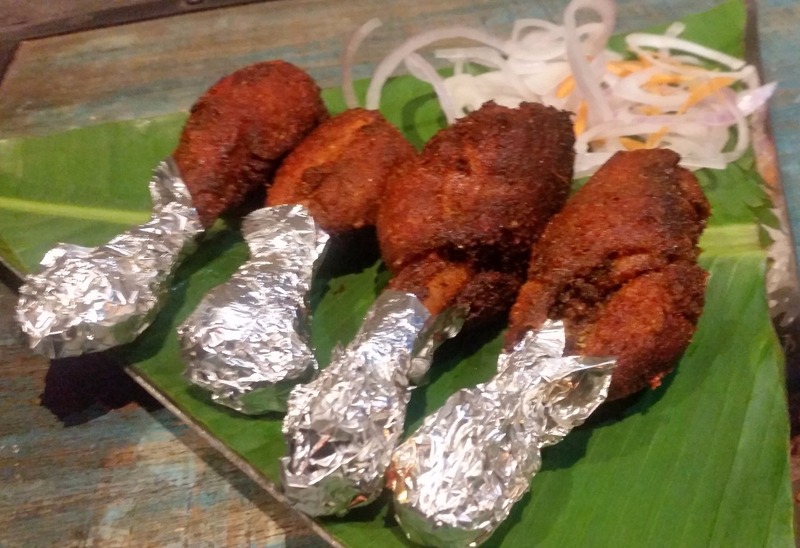 However, the dish I took fancy to was Ulavacharu Chicken Legs, where tender chicken legs are covered with a special coating and fried. 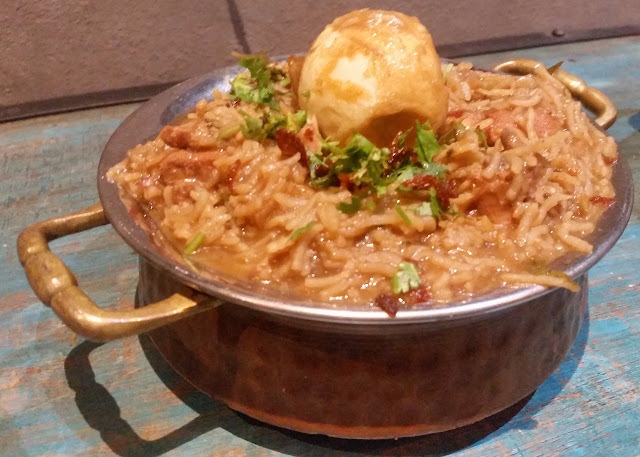 A dish which is not to be missed here. 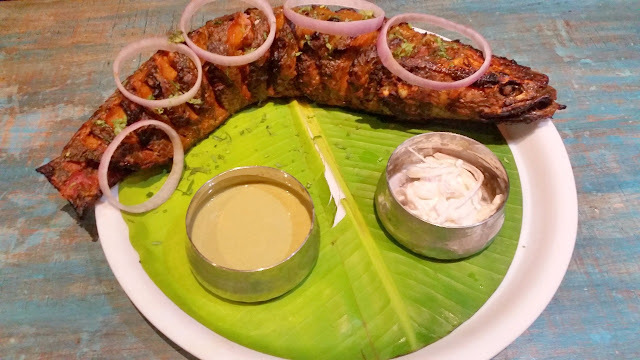 Tandoori Korameenu, which was served at the bloggers' table had a complete murrel fish soaked in Andhra spices. One look at the way the dish is presented (see pic) any seafood lover will not be able to resist but order the dish. 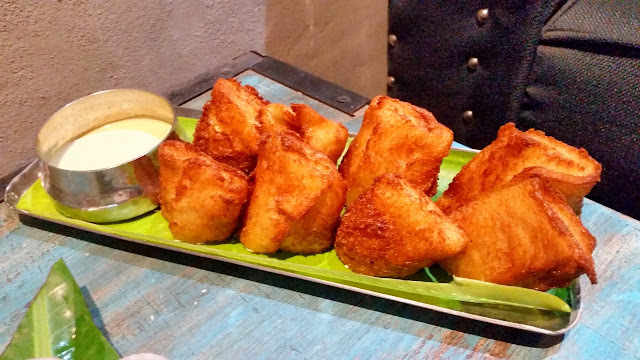 The only vegetarian starter we tried was Crunchy Curd Cutlets, with soft curd inside a crunchy cover. For me, it came handy for neutralizing the palate between two spicy dishes. 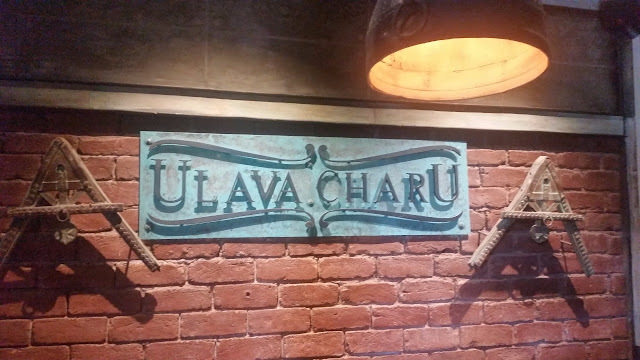 Ulavacharu is known for its range of pulavs. 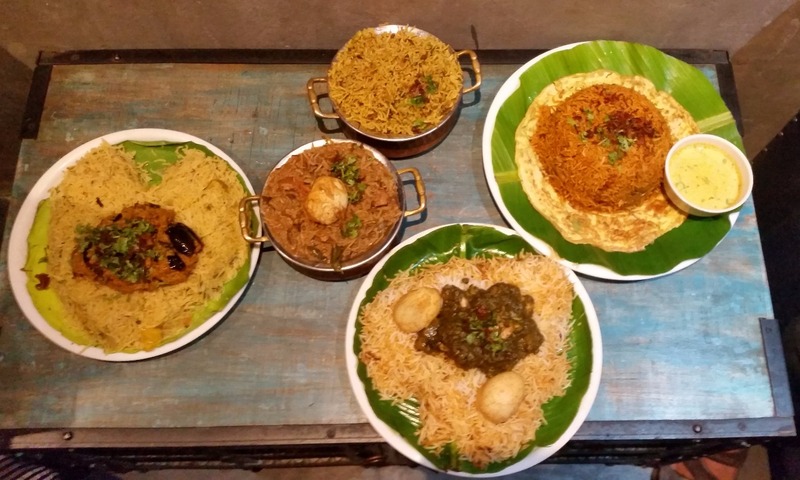 The most well-known pulav here is Raju Gari Pulav, a dish which is cooked fresh in a steamer and goes very well with the accompanying tomato chutney. 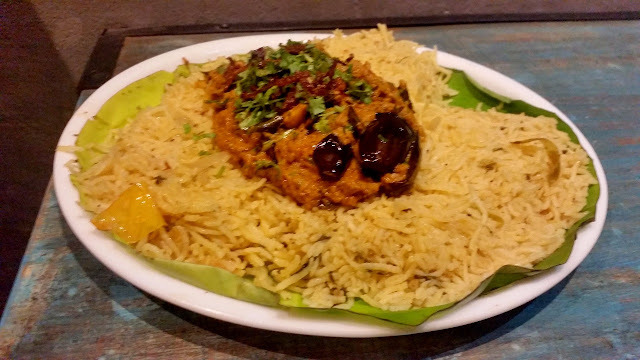 Pachi Mirchi Kodi Pulao, which has chicken in green chillies and masala over a bed of pulav rice is extremely flavourful. 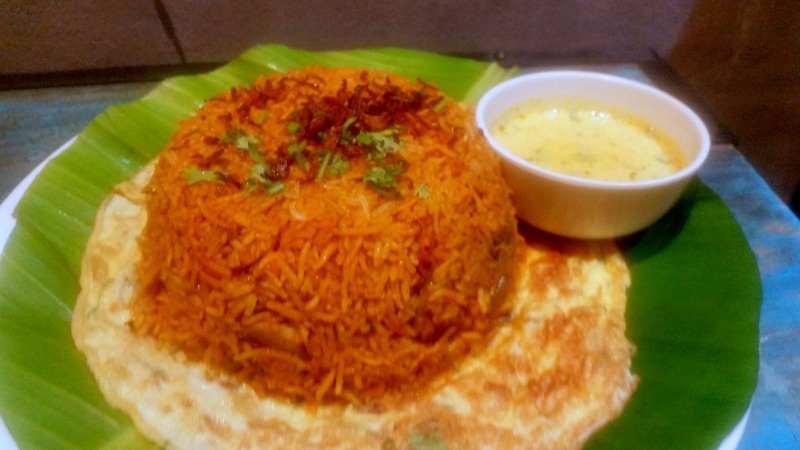 Gadwal Kodi Pulav was another well-prepared rice dish which is served on an omelette. A recent innovation for vegetarians is Guthi Vankaya Pulav, where the pulav is topped with the popular brinjal dish from Rayalaseema. One of the most popular combinations in the Rayalaseema region is Natu Kodi Pulusu (country chicken curry) with Ragi Mudda (a millet-based healthy carb). 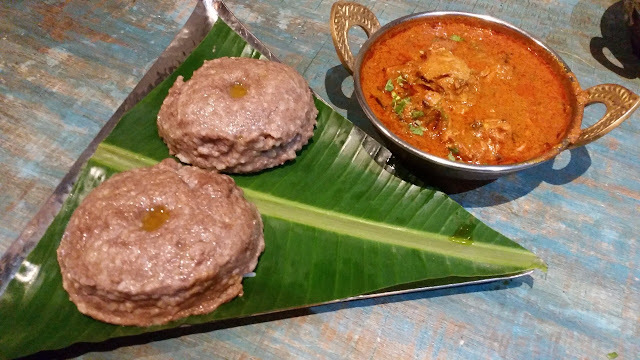 After pouring ghee on the ragi ball, the delicious dish becomes extremely heavy, but the taste of chicken curry makes you want more and more of it. Also, it is always a treat to try the Ulavacharu served on the table with steamed rice and cream. 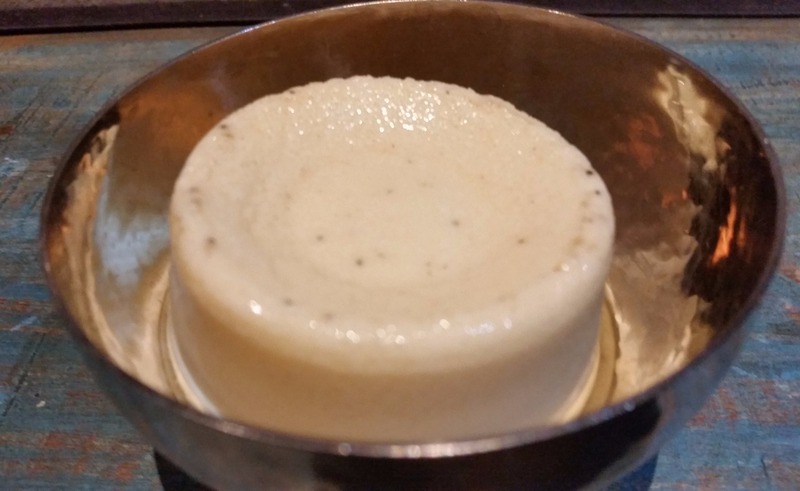 Junnu is a popular milk pudding which uses the milk of a cow with a newborn calf. Ulavacharu is the best place to try this. 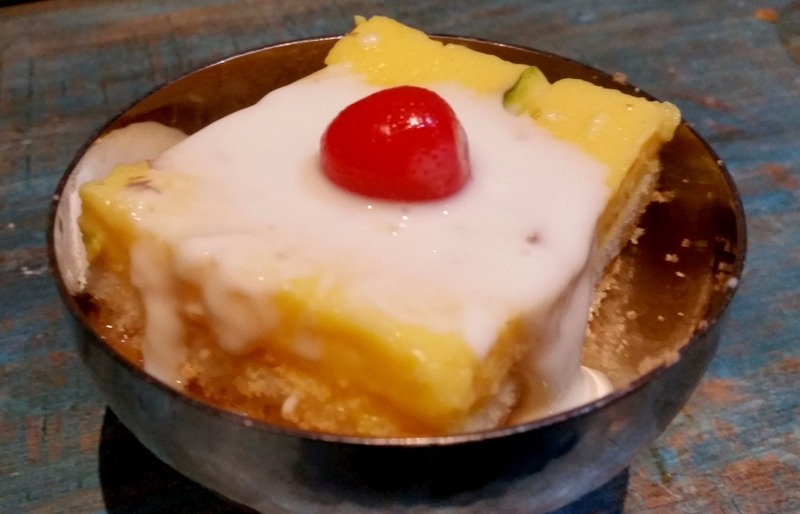 Other desserts served include Apricot Delight, a dessert which is popular in many Telugu restaurants in the city. You can also try the Kulfi on the menu. 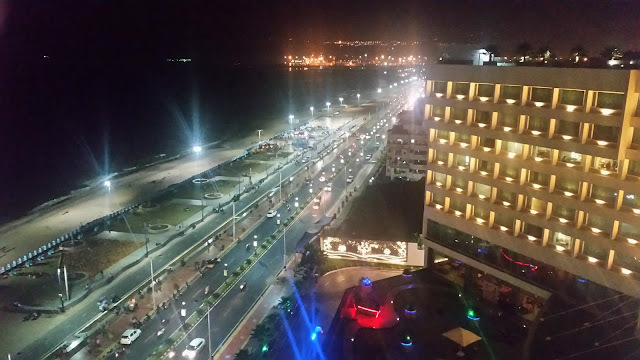 It is good to see Ulavacharu come to Gachibowli. It will provide a good opportunity for people working in the IT corridor to savour authentic Telugu dishes as well as new innovations. 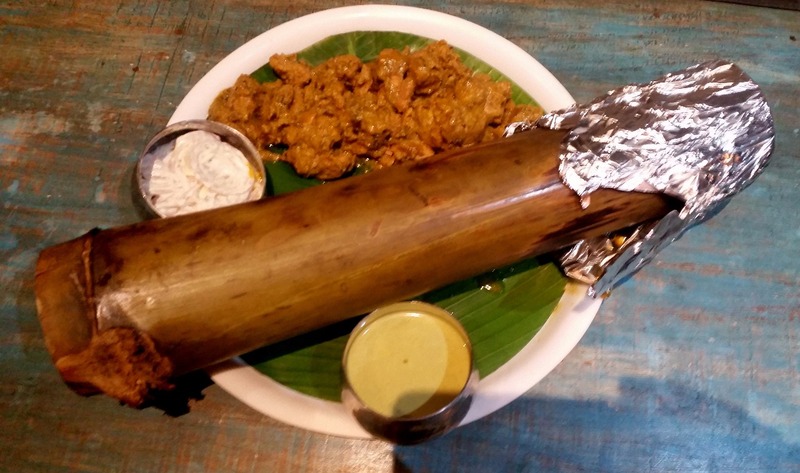 They also have comprehensive meals or bhojanam for both vegetarians and non-vegetarians.